FileInvite will transform the way you collect information from your clients – hassle free and on time! No longer do you have to receive multiple emails from clients, files that are too big, wrong files, late files and sometimes nothing at all. We have made the process simple – All you have to do is create and send a FileInvite with the information you require. The client then uploads the files and information to a centralized location. You can tick information of the check list as your receive them and send automated reminders via email and sms to motivate clients if required. You can download the files at any stage straight to your computer or sync with your favourite cloud storage. With FileInvite you stay in control, impress your clients with professionalism and importantly save time and money. Don’t delay – Impress your clients today by sending a FileInvite! Why did you build FileInvite? 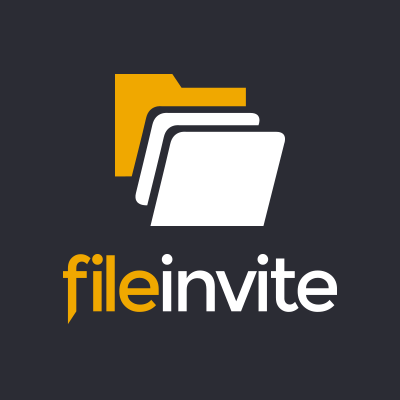 The world needs FileInvite because it is a Smart dropbox and file request service. It solve the problem a lot of businesses have when collecting information and files from clients. How is your product different from what is currently available? We developed FileInvite in direct response to a problem that a lot of companies face including our website design company (Zyber). When dealing with clients in regards to website design – the project would get delayed due to customer not sending through their information. e.g. photos. logo, copy etc. If they do send through information it is usually in multiple emails, files that are too big, wrong files, late files and sometimes nothing at all. FileInvite revolutionized they we managed projects, meaning we reduced project times considerably, increased our level of professionalism, increased customer satisfaction and more. Overall this helped to save us time and money as a company. The founders of FileInvite also own a successful website design company in New Zealand (www.zyber.co.nz) – recently awarded in the Deloitte fastest 50 growing companies in New Zealand. FileInvite was developed to address the problem of collecting information from clients e.g. logo, copy, images etc.